Odin's Toy Factory: Can I use my belt sander to sand toys? 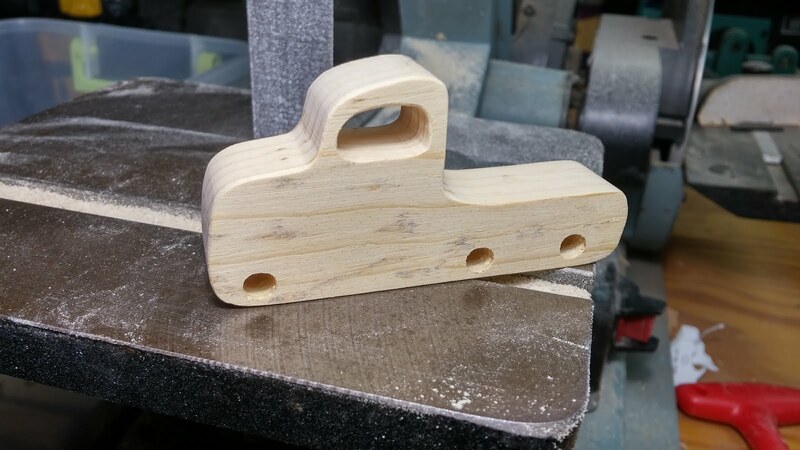 Can I use my belt sander to sand toys? The 90% sanding on this little truck body was done using two belt sanders. 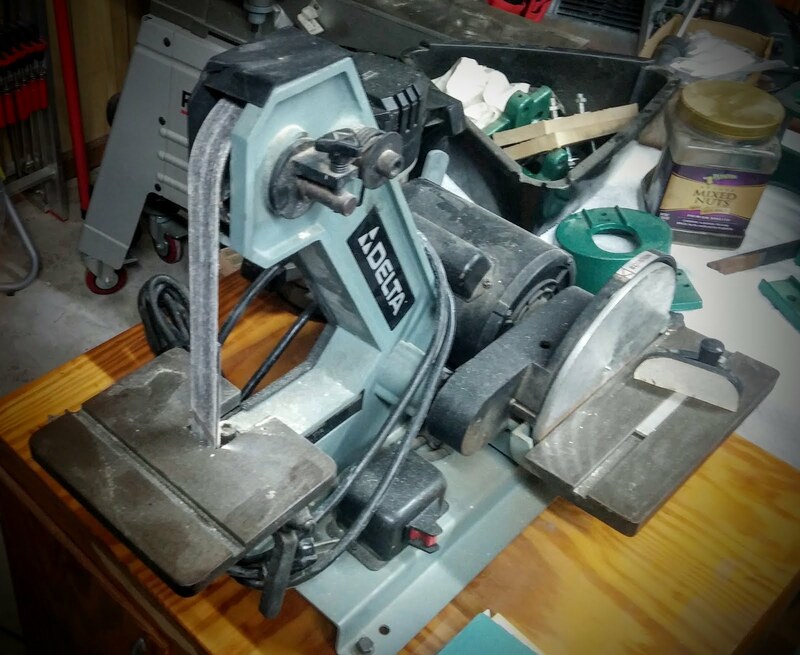 A Shopsmith 6x48 belt sander with a worn 80 grit belt and my Delta 1x42 strip/belt sander with a silicon carbide 220 grit belt. It's about as smooth as you can get pine. I use the larger Shopsmith sander to do the heavy work an smooth out the flat areas and in this case remove the finish from the recycled wood. Then I use the Delta belt sander to fine tune and do the final smoothing. It takes a little practice an a light touch. Even 220 grit belts can can chew of a bunch of wood in a hurry. It is sort of like carving with a sanding belt. I can literally reshape the toy as I;m smoothing it. As for the 10% I eased the corners with a foam fingernail file. If your hand is steady enough you could do this with the bet sander. 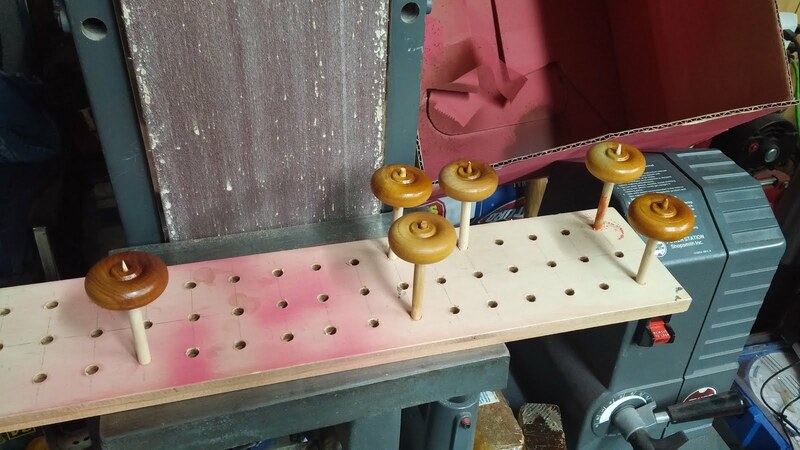 However, I can't control the wooden toy well enough to give me satisfactory results. I sanded inside the window with a shop made scroll saw sander that I made with two strips of sanding belt, some double sided tape, and a scroll saw blade.